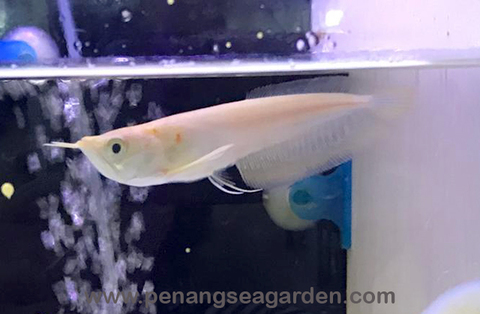 Home › Albino Silver Arowana 白子银龙 4.5"
Breeding : They have been bred in captivity. The males carry the eggs in their mouths (mouth brooder). Aquarium Size : 200 gallon minimum but preferably much larger tanks. 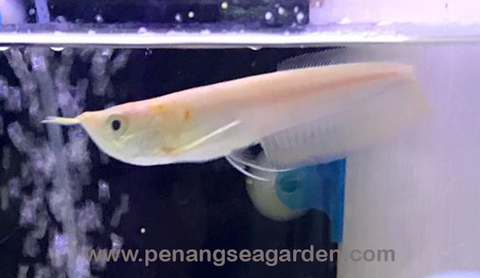 This fish is best left in the wild, in public aquarium displays or with advanced hobbyists with the equipment and space to keep them. 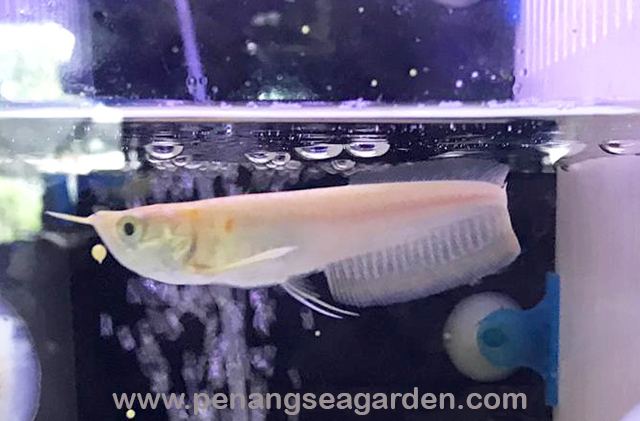 Compatible Tank Mates : Because of the huge adult size of Arowana there are very few common aquarium species recommended. One that may potentially be kept with them is the Common Pleco, but you would need an even bigger tank (bigger than 200 gallons) to provide both of them with adequate water volume as adults. Diet / Foods : A carnivore - provide a varied diet with pellet food, frozen food and they will definitely accept live food. 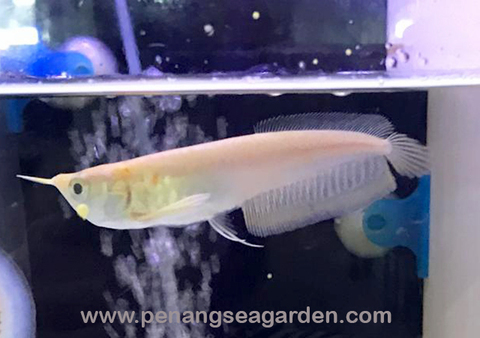 Gender : May only be possible to determine gender differences in mature adults Arowanas. Males may have larger mouths since they are mouth breeders.